Join the tips of your index and middle fingers together with your thumb. Curl your ring finger down into the palm of your hand and extend your little finger. 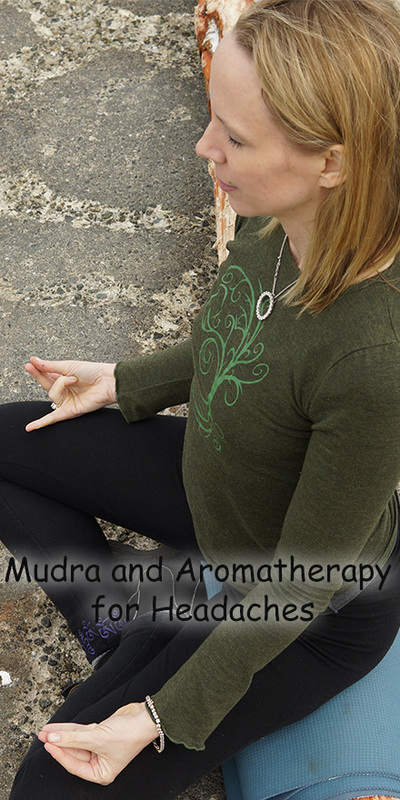 Sit in a comfortable position, forming the mudra with each hand, rest your hands in your lap with your palms up. Place the tip of your tongue on your upper palate. Relax your eyes, lips and throat. Breathe naturally, let your attention be lightly on your breath in your belly. For chronic headaches, practice three shorter sessions of 5-10 minutes throughout the day. You may also practice the mudra lying town, followed by a brisk walk.